Against the background of major social protests, in May 2012 opposition party Kadima (Forward), positioning itself as the main centre party in Israel, decided to join Prime Minister Benjamin Netanyahu’s right-wing coalition of Likud (Consolidation), Yisrael Beiteinu (Israel Our House) and several ultra-Orthodox religious parties. 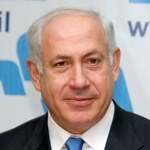 In response Netanyahu postponed the general elections which he had announced shortly before. Kadima and Likud announced to promote an agreement regarding the sensitive issue of military service for the ultra-Orthodox (and Israeli Palestinians), who have been excluded from service. Secular Israelis have for a long time been demanding an end to the exemption of the ultra-Orthodox, who do not work (only study) and do not pay taxes, but receive government subsidies. At the same time, Netanyahu’s coalition depended on a number of right-wing and ultra-Orthodox parties that relied on this same group of ultra-Orthodox voters, leaving him with little negotiating space. After Netanyahu refused to accept a proposal to limit the number of religious students exempted from military service to 1,500 a year, Kadima left the coalition. Discontent over the economy has dominated public debate. The ongoing conflict with the Palestinians largely faded from the political discussion. Leaders of the main opposition parties have made statements on this issue that in the final analysis were very close to the position of Netanyahu. Over the years Netanyahu’s own party, Likud, has shifted further towards the (extreme) right side of the political spectrum. Younger, more radical MPs have influenced domestic politics through the introduction of a number of anti-democratic laws, including a 45 percent income tax law for organizations receiving donations from ‘foreign entities’, severely hitting Israeli civil and human rights organizations; a law that enables settlers who claim economic losses resulting from a boycott of settlement products to sue the organizers of the boycott, as well as an amended law criminalizing anyone seeking asylum in Israel, facing a minimum of three years of detention, including children. Likud candidates who advocated these laws did very well in the 2012 Likud primary elections. 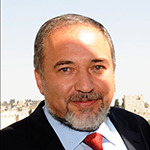 A further move towards the extreme right was established when Netanyahu and Foreign Minister Avigdor Lieberman (Yisrael Beiteinu) announced their joint list Likud/Beiteinu in October, ahead of the 2013 elections. A standoff with the Knesset over austerity measures and cuts in social welfare programmes in the 2013 budget made Netanyahu decide to advance the general elections, which were scheduled for October 2013, to January 2013. By doing so he hoped to take advantage of his popularity on the one hand and a weakened opposition on the other. An eight-day military offensive in November 2012 against Gaza seems to have served the same objective. Since it came to power in 2009 the Netanyahu government has scaled up the policy to expand the Jewish settlements in the 1967 occupied Palestinian territories, including in East Jerusalem and on the Golan Heights. The government has managed to resist outside pressure to cease the construction efforts and succeeded in avoiding the removal of so-called Jewish outposts. Candidates who support the settlement drive, also did well in the 2012 Likud primary elections. However, notwithstanding his continued policy serving the interests of settlers and religious nationalists, Netanyahu faced increasing competition from ultra-nationalist groups who advocate policies that have become reasonably popular. 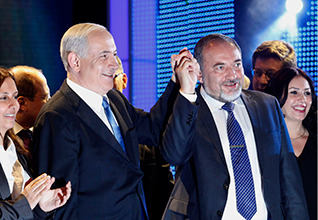 The centre-right opposition – Kadima and others – failed to seize on popular discontent over the high costs of living that challenged the Netanyahu government. In turn, the secular centre-left has been unable to present a viable economic alternative to the socio-economic policy of the Netanyahu government, as they themselves are heavily influenced by neoliberal economic doctrine. 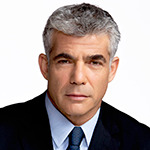 Ahead of the 2013 elections, a number of new political parties were founded, such including Yesh Atid (There is a Future) by former anchor man Yair Lapid. The party aims to fight corruption, improve the economic situation of the middle class and mandate that all Israelis perform national service. Former Kadima leader and former Foreign Minister Tzipi Livni established HaTnua (The Movement) as a diplomatic alternative to Netanyahu’s Likud. 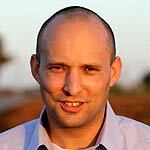 Likud got competition from the ultra-nationalist HaBayit HaYehudi (The Jewish Home), led by Naftali Bennett. Former Likud MP Sarhan Bader founded the Israeli-Arab Nationalist Party, aiming to address the needs of the Israeli Palestinians. The mixed Jewish-Palestinian Hadash (Democratic Front for Peace and Equality), and the Palestinian parties Balad (National Democratic Assembly), and the coalition Ra’am (United Arab List)/Ta’al (Arab Movement for Renewal), have voiced increasingly louder demands for equal rights for Palestinians and Jews. Jewish Israelis have accused them of prioritizing the rights of Palestinians in the West Bank and Gaza over the interests of Palestinian citizens of Israel. The Central Elections Committee has disqualified Arab parties and individuals from running in Israeli elections on multiple occasions. 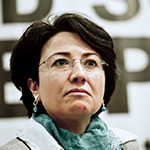 Most recently, Balad candidate Haneen Zoabi was initially disqualified for her role in the 2010 flotilla that intended to breach Israel’s naval blockade of Gaza, but this decision was overturned by the Israeli High Court. Since the founding of the State of Israel, Palestinian parties have been excluded from forming a coalition. Official election results showed that the right-wing Likud/Yisrael Beiteinu list won most of the 120 Knesset seats: 31, of which twenty went to Likud (a loss of seven seats in comparison to the 2009 general elections), the remaining eleven went to Yisrael Beiteinu (a loss of four seats). 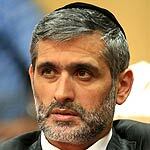 HaBayit HaYehudi, with large support among the settlers, won twelve seats (an increase of nine seats). The Ashkenazi ultra-Orthodox pro-settler United Torah Judaism went from five to seven seats. The Sephardic ultra-Orthodox pro-settler Shas (Sfarad’s Guards [of the Torah]) retained its eleven seats. 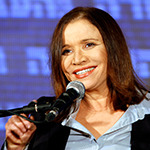 With nineteen seats newcomer Yesh Atid was the biggest winner and replaced Kadima (two seats, a loss of no less than 26 seats) as the main centrist party. 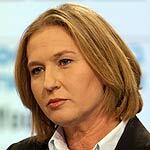 Kadima voters switched to the newly formed The Movement of Tzipi Livni, which won six seats. The centrist Israeli Labour Party won fifteen seats (an increase of two seats); the center-left Meretz (Energy) saw its number of seats double from three to six. Hadash (New) retained its four seats. The number of seats for Palestinian parties remained unchanged: the United Arab List/Arab Movement for Renewal four, Balad (The Land) three. Voter turnout was 67.8 percent (64.7 percent in 2009), among Israeli Palestinians 56 percent (53.4 percent in 2009), according to the Central Elections Committee.